I didn’t have any idea what to expect walking in to the Yurt on the first day. Although it was a beautiful, clear Wellington afternoon, there was a slight chill in the air…the sort of chill you feel inside when you are about to walk into the unknown. I had similar emotions running through my head that I’m sure every other new Fellow also did – nerves, excitement, slight panic….All I knew was that as usual, my curiosity had got the best of me and I couldn’t resist finding out what this experience was all about. Yes, I am an Ihu (nosey)! That morning had been a rush just to make it on time. We had the best laid plans, but given our proximity from Wellington, we knew it was going to be difficult to try and get time off from work; find someone…. to look after 5 tamariki for 5 days, and even just physically get to the airport which was an hour’s drive away. Well, we did actually miss our flight to Wellington after a longer than usual car trip to Kerikeri to catch our flight (a much longer hour and a half drive thanks to logging trucks and thick fog). We arrived to see our plane leave without us on it. We had all but given up when we rang Mumma D (Dayna from Lifehack). She blew us away though by coming through for us, and getting us on the next available flight. I will never forget that first moment walking in late into the Yurt. We were both exhausted, and we had arrived somewhere in the middle of the bush with barely any cell reception. I was already starting to panic, and thinking what if this is not worth it because I have just left my kids for nearly a whole week (the longest I have ever been away from them); and just walked out of work without getting the official ok from the boss…and all on a shoestring budget. We walked in while everyone was seated in a large circle, and I saw the only familiar face I knew – Mumma D, so naturally I made a beeline for her, and sat down awkwardly trying to physically look my surroundings – calm and serene… As I sat there listening to everyone, I realized that the way everyone was introducing themselves was quite different to anything I had experienced before with people who had never met each other. The raw emotion, passion and vulnerability that was shared hit me hard. A knot presented in my puku (stomach). I knew when it got to my turn to speak, I couldn’t be anything else but the same – passionate, brutally honest and vulnerable. I felt a deep yearning to sob, but it got stuck in my throat…just a single tear escaped instead. I wanted to cry too because I knew without a doubt that I had well and truly arrived. It was at that moment when it was my turn to talk, I couldn’t do anything else but share my heart. I was going to give this experience everything I had because there was a connection much deeper than the superficial crap you see from most people every day…I had got tired of seeing everyone’s masks…and realized that I too had been wearing a mask, conforming to those around me…trying to protect my pride, and my work while hiding my insecurities. This was my opportunity to take off the mask and just be me. 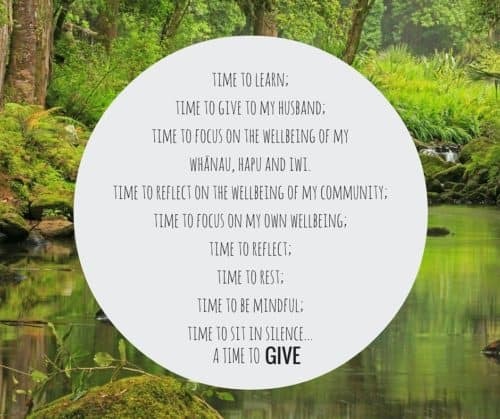 Reflecting on this initial part of the experience from Hui Tuatahi alone has really reminded and consolidated for me the importance of relationships. Human connection and the need for us to connect with people at a deep level is essential for survival. 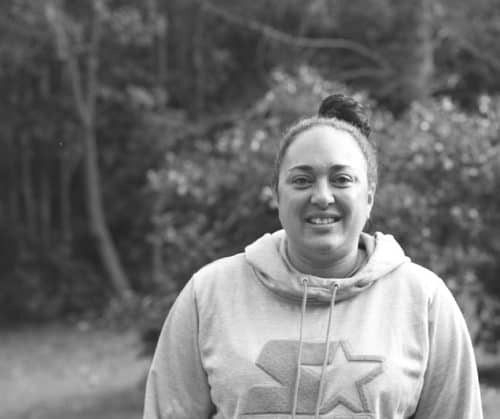 Building and maintaining meaningful relationships based on trust is vital for a healthy whānau, healthy workplace and healthy community. …and you forget to put time into what is most important – people. 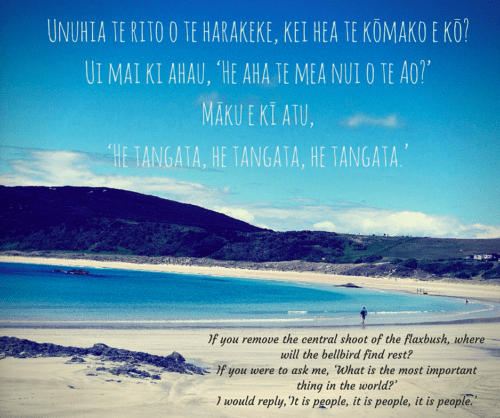 The arrival at Hui Tuatahi reminded me of these life lessons. I look forward to putting action to this reflection with my whānau, in my mahi, and in my community.